Finding out that you have a little one on the way is such an exciting and scary thing so congratulations on your new baby! If your not sure of the next steps to take here is a list of what to do when you find out your pregnant for the first time! Many things are probably running through your brain right now and your head may be spinning from the mental list you have going. Time to slow down and look at each step one at a time. 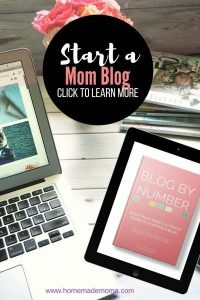 It’s totally normal to feel super overwhelmed but I am here to help you get started on the next steps plus tips and pointers! Congratulations on your pregnancy and the new journey you are on, being a mom is a whole new way of life filled with ups and downs but so worth all of the challenges! One of the first things you need to do is call and schedule an appointment with your doctor or find a good OB so you can find out how far along you are, get some blood work done and a checkup. You may have some idea of when you got pregnant but if not here is an awesome pregnancy calculator to help! 2. Make sure you are eating a healthy diet and watch out when you get those hunger spells that you aren’t going for junk food, I know it’s a temptation but try to resist and replace these with healthy snacks instead. 3. 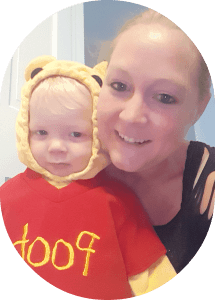 Get started on a good prenatal vitamin if you aren’t on one already here is one of my favorites: When looking for a good prenatal vitamin this is what you need to look for. 4. Plan out your finances and see where you can save some extra money by cutting costs on some things you may not have to have right now. Start saving money for baby items and slowly buy the things you need over the time you are pregnant. Some things will be harder to buy without knowing the gender of your little one but you can find gender neutral items as well! 5. Figure out when you want to let people know you are pregnant! Some women like to wait for a time due to the chance of a miscarriage but it is your own personal choice, of course, just make sure you and your spouse or significant other are on the same page. If you have a job you may want to wait a little while before letting your boss know and even coworkers because some of them may not be able to keep a secret or could be a little jealous. 6. Call your health insurance and find out what they cover and see if you have to change something on your plan or look into getting secondary health insurance to help cover costs. Being pregnant you have a few things that you shouldn’t do because they will harm you and the baby and you need to give that baby the best care possible at this time. When it comes to food you need to avoid raw eggs, lunch meat, undercooked meat, seafood, undercooked or raw fish, unwashed produce soft cheese and caffeine. I know this may seem like a lot but most of them are due to parasites and bacteria that can make you and your baby sick so be careful and steer clear. If you are wondering what you can eat I have a post on what to eat while you’re pregnant. Avoid drinking alcohol, smoking or doing recreational drugs as these will harm your baby’s development. 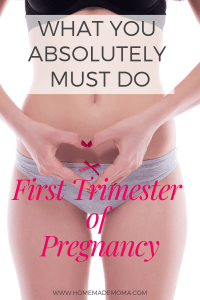 Sometimes you do these things and don’t know you’re pregnant ( especially if it was an unplanned pregnancy), but as soon as you find out it needs to stop! Avoid carrying heavy items, being around chemicals like cleaning solutions and paint even ant or roach killer, exercising to much and changing the cat litter (if you have one), it is best to keep from doing these things because they can seriously harm your baby. You can’t go tanning, take hot baths or dye your hair (I know it seems like an endless list of things you can’t do). You also need to be careful about what products you are using on your skin that could harm your unborn baby, things like makeup, shampoo, lotion, and toothpaste. Tanning beds get really hot as well as hot baths (duh) and raise your body temperature to an unsafe level for your baby and the reason why I say you can’t dye your hair is first of all the chemicals and secondly due to hormones your hair color won’t turn out how you want it to! You may be having some pregnancy symptoms right now that led you to find out you are pregnant so how do you deal with the tiredness, morning sickness, headaches and mood swings that go with it? Morning sickness: Try to keep crackers of some sort by your bed, you can also get this awesome morning sickness candy that has vitamin B6 in it and relieves nausea. If that doesn’t work for you and you have a severe case I would talk to your doctor about it and they can give you some medicine for it. Also, you can try Pink Stork morning sickness tea which works great to help with nausea, cramps, and indigestion. 2. Exhaustion: Being super tired all the time is no fun and the only thing I found that helps with that is eating healthy meals, going to bed earlier and taking naps when you can. If this doesn’t help then try to hang in there until the next trimester when you should get some energy back. 3. Mood Swings: When it comes to mood swings they are going to happen just try to remember that you are super emotional and rationally think about things before you say them to others and avoid super traumatic movies or sad things as these can make it worse! 4. Headaches: In early pregnancy, you may get headaches and one of the ways to try and not experience them is to drink plenty of water because you can get dehydrated very quickly at this time. Also if you stopped the caffeine this can cause you to get headaches from not having any. If you don’t like water try putting fruit in it to make it taste better! Here are essentials items and things you need to do right away or a few weeks from now that are super helpful! Your clothes may be getting tighter and if not they will very soon so a Belly Band is an essential item to get that will make your clothes last a little longer before you need new ones. I used the belly band in my third trimester only because I was carrying high with my son so my pants still fit me (might be lucky not sure) anyway what you do with it is wear it over your pants that you can’t zip up or button anymore and it covers everything as a long shirt would. A major thing that I did to keep from getting stretch marks was invest in cocoa butter which helps so much with the itchy skin and dryness that you will feel. I used Palmer’s Cocoa Butter because I trust the brand and love how it smells when I was pregnant I was obsessed with smelling it like it was a dessert or something lol. I don’t have any stretch marks because I used it all the time through two pregnancies so I know it works awesome! Let’s talk about constipation lol sorry but it is a real thing and it will make life kinda miserable if you don’t get some good stool softeners to help you out! You may not need them all the time but when you do you will want some good ones to take. This is what helped me out they are called Up&Up Senna Laxative Plus and is made from natural vegetables and they work great! In order to feel your best and not gain a bunch of extra weight try to get as much exercise every day as you can without overdoing it of course. You want to stay in shape and keep those excess pounds from pouring on which will help you lose weight after so if you have a workout routine keep at it and if not start small like taking walks and doing pregnancy yoga which is super helpful for alleviating tiredness, sleep issues and nausea. 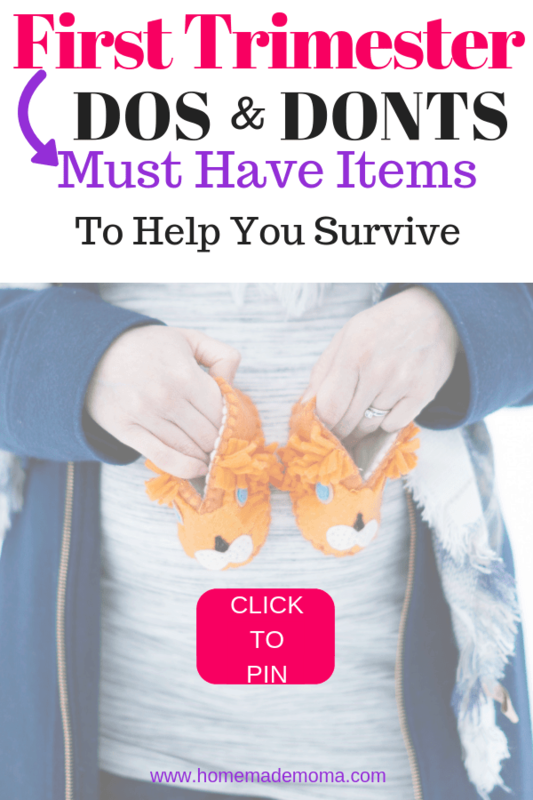 Hope you found this post helpful and know what steps you need to take to get organized with your pregnancy and not feel so overwhelmed. Remember you have nine months of this to go take your time and enjoy being pregnant as much as possible, meeting your little one for the first time will make all of the pains and frustrations of pregnancy melt away.